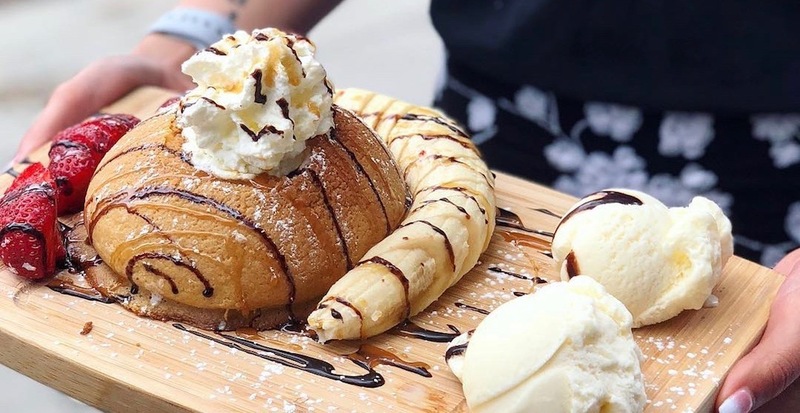 Malaysian coffee bun king PappaRoti has opened a new Vancouver location. Located at 1778 Columbia Street, the new Olympic Village outpost marks the fourth BC location for the brand, which also operates spots on Robson Street, Keefer Street, and in Coquitlam. Just a short walk from The Flying Pig, Brewhall, and Craft Beer Market, this new spot’s desserts, quick lunch options, and coffee are bound to be a hit in the neighbourhood. To celebrate their opening, the PappaRoti Olympic Village team will be offering patrons a free Original Coffee Bun and Karak Milk Tea on November 17 between 11 am to 3 pm. The chain had humble beginnings opening a single store in Malaysia in 2003. Today, it has over 400 stores and kiosks worldwide including Canadian outposts in Vancouver, Montreal, and Toronto.